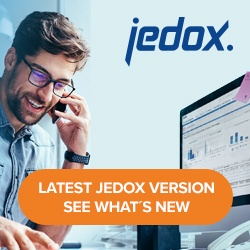 Two modes are available in a Jedox Spreadsheet: Designer Mode and User Mode. Designer Mode is used to create an application. It allows you to create worksheets is created with formulas, formats, etc. You can select the cells available for data input in User Mode by going to Format > Cells… > Protection > Lock Cells and selecting Locked or Unlocked. In User Mode, you can now work with the application created above. You may only enter data into cells that are unlocked. Other than this, you cannot make any changes to the application in User mode or switch to other sheets. Also, links to other worksheets are not executed. For tests of cells that leave the current sheet, the Reports module must be used. You can go back to Designer Mode by clicking the Close button. As long as a worksheet is open in User Mode, Designer Mode cannot be accessed.